There are many national park units that recognize our veterans – war memorials, battlefields, military parks and historic sites. This year for Veterans Day, we got thinking about a veteran who not only was a general, but rose to lead this country – Dwight D. Eisenhower, the 34th President the United States. 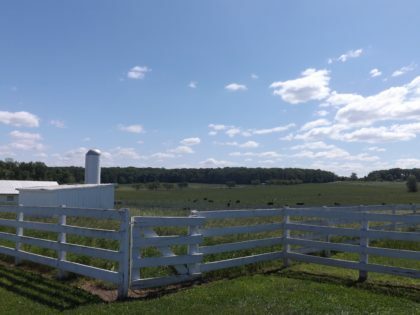 You can learn more about him and see his home and farm at Eisenhower National Historic Site in Pennsylvania. We were interested to learn that out of the 44 presidents, many have military experience in their background; starting with General George Washington, the only 6-star General to also serve our country as President. 12 presidents held the rank of general, and 26 of our presidents served in the military in some capacity. This includes many notable presidents over the years: Ulysses S. Grant, John F. Kennedy, Gerald Ford, Jimmy Carter, Abraham Lincoln and Teddy Roosevelt to name just a few. We thank these men and all other veterans, men and women, for their service. His personal respite was his farm in rural Pennsylvania he raised prize winning Angus bulls. Many called the farm the “white house away from the White House”. When he had a heart attack during his presidency, he recovered there. He also hosted many world leaders at his farm; where it delighted him to be able to show off his herd. They say that the election race in 1952 between Dwight Eisenhower and Adlei Stevenson was the first one to be influenced by not just radio, but that new-fangled thing, the TV. Eisenhower signed a bill in the mid-50’s that raised the minimum wage to $1 per hour. He signed legislation that designated Alaska and Hawaii as the 49th and 50th states. Most of us will have driven on one of the roads with his name. In 1956 he signed a federal highway bill authorizing the building of Interstate highways in the United States; the Dwight D. Eisenhower National System of Interstate and Defense Highways. 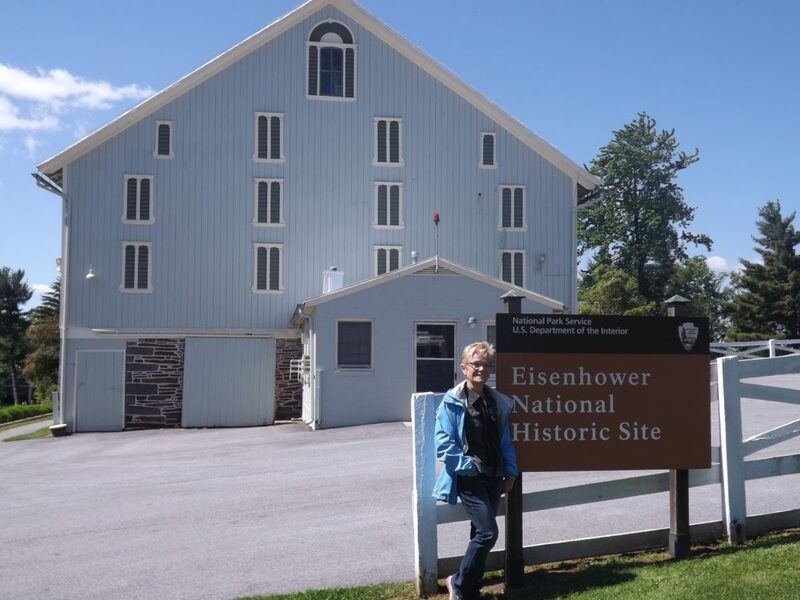 You are not able to take a private car to the Eisenhower National Historic Site. You have to take a shuttle from Gettysburg National Military Park visitor center. While you are there, you should make time to visit Gettysburg. 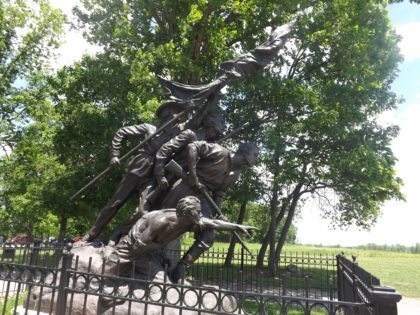 It is the site of the bloodiest battle during the civil war. 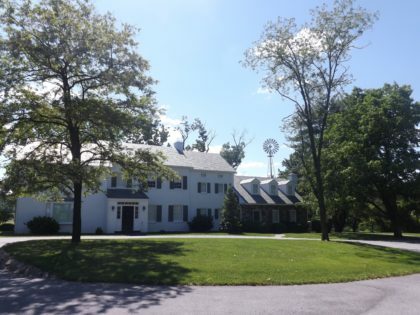 Eisenhower’s property is 189 acres in rural Pennsylvania. You can tour the home, visit the offices of the secret service and learn more about how they protected the president during and after his presidency. Eisenhower was the first outgoing president to get a secret service detail after leaving office, as well as a lifetime pension and state-provided staff. He retired to this farm, where he lived until he passed away. 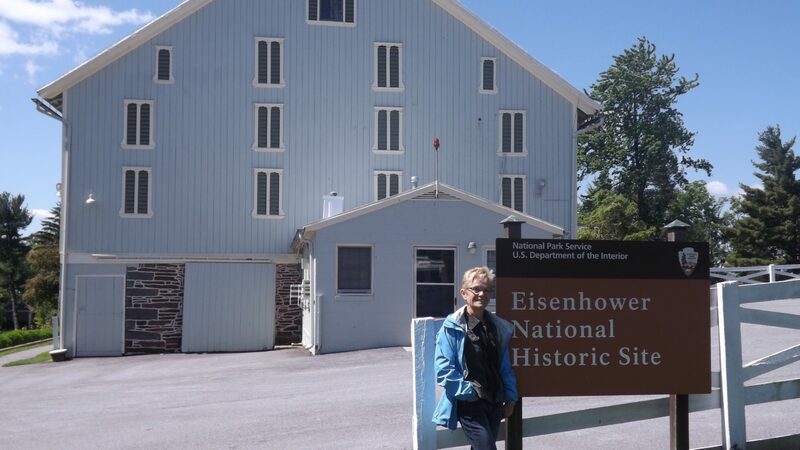 In 1967, the Eisenhowers donated the farm to the federal government and it was designated as a National Historic Site in 1969. Be sure to take a walk around the beautiful grounds and orchards. You can visit the barns and see the descendants of his prize Angus herd. 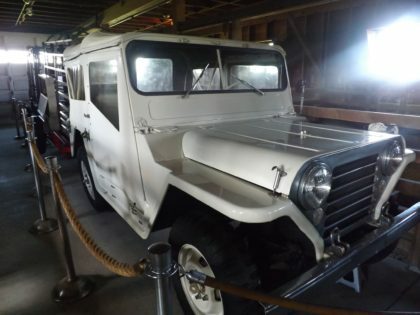 Also be sure to check out some of the old vehicles that have been lovingly restored. The National Park Service offers ranger-led tours and self-guided tours, with optional cell phone audio. Did you know that the National Park Service offers FREE admission to national parks units for Veteran’s Day? Choose any park today (Sunday) and you’ll get free admission. Of course, always check for park hours and rules. This year marks is a special Veterans Day. It is the 100th anniversary of the end of World War I on the 11th hour of the 11th day of the 11th month; also known as Armistice Day. Visit one of our National Parks this Veterans Day.